Help Kids with Cancer in Iowa! by Kids Living Brave, Inc.
Help Kids with Cancer in Iowa! By Kids Living Brave, Inc. Kids Living Brave, Inc. hasn't added a story. Kids Living Brave, Inc. hasn't posted any updates yet. 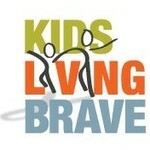 Kids Living Brave, Inc. is managing the funds for this campaign.